Attractive European woman, tourist with a backpack walking in the dark cave, spinning inside it, observing the surroundings. Extreme vacation, adventure. Amazing nature. Handsome European man, tourist with a backpack walking in the dark cave, spinning inside it, observing the surroundings. Extreme vacation, adventure. 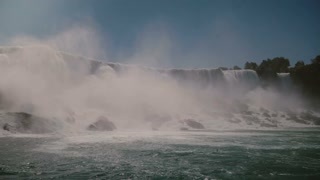 Amazing nature. UNDERWATER: Rider on adrenaline filled vacation catches an epic Cloudbreak wave. Slow motion happy young businessman with backpack hiking on vacation at epic summer sunset panorama of Grand Canyon. 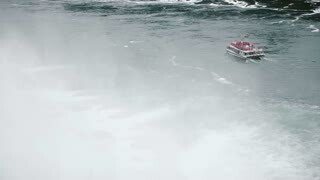 NIAGARA FALLS AUG 17 2018 High angle view of tourist excursion boat moving close to epic spray waterfall slow motion. 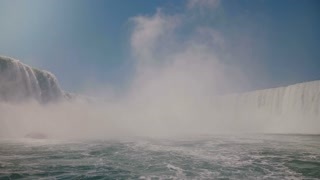 Scenic panning shot of epic rushing water and spray with birds flying by at amazing summer Niagara Falls waterfall. 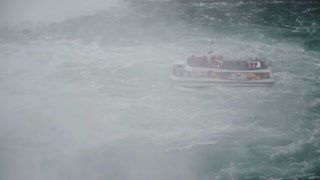 Slow motion camera approaches large cloud of white water spray mist rising over epic Niagara Falls waterfall scenery.